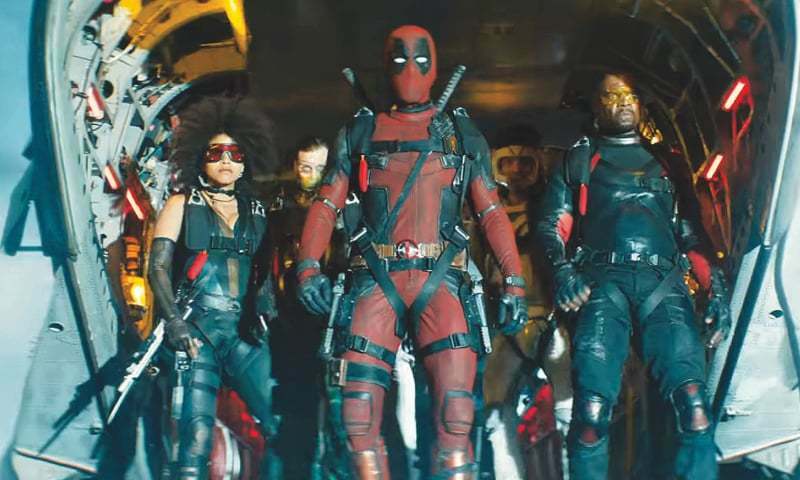 Deadpool 2 (DP2) builds on the outrageous foundation set by Deadpool. After a slow start where the one-liners fall flat, it’s sometimes sidesplittingly funny, action-packed and has a better and more cohesive story that goes somewhere rather than the somewhat random plot of Deadpool. Where it pales in comparison is in the freshness department, though to be fair that was to be expected. After all, Deadpool was a shocking piece of sadistic pleasure with its R-rated brand of violence, humour and appreciable level of self-awareness — all delivered thanks to producer/actor (Ryan Reynolds) who believed in the source material. It would have been impossible for DP2 to replicate that element of surprise. Instead, DP2 keeps us guessing in other ways. For example, the R-rating is utilised to deliver a series of incredibly brutal and hilarious deaths to a number of heroes that will leave you laughing so hard that you may consider visiting a psychotherapist for finding mirth in such unfortunately savage ends. Like the original, DP2 also destroys the fourth wall in dozens of sly moments peppered throughout the film. Ryan Reynolds (Wade Wilson / Deadpool), who was born to play the role of this nearly invincible wisecracking mercenary turned superhero from the X-Men cinematic universe, is almost perfect in his comical performance. Personally speaking, my favourite bits were when the character mocked the “Martha” moment from Batman v Superman: Dawn of Justice (2016) and when he poked fun at Cable for being too dark for the Marvel universe. If I have a criticism it is that these bits are woven just a touch too frequently into the narrative to the point where they slightly hurt the film’s pacing and even dull the impact of the more emotional scenes. Another nitpick is of the ending, where a supporting character makes a self-sacrificial move that doesn’t feel consistent with his characterisation. The story in DP2 picks up two years after the events of the first installment where Wade is recovering from a personal loss. And by recovering, I mean psychotically suicidal. Here, coming to his aid once again is mutant Colossus, who tries to train him into becoming a part of the X-Men team. The story in DP2 picks up two years after the events of the first installment where Wade is recovering from a personal loss. And by recovering, I mean psychotically suicidal. Here, coming to his aid once again is mutant Colossus (Stefan Kapičić), who tries to train him into becoming a part of the X-Men team. When Colossus, Deadpool and Teenage Warhead (Brianna Hildebrand) travel on a mission to save a young powerful mutant from himself (Russell Collins / Firefist), our hero screws up, landing both himself and the young man in a dangerous prison for mutants. Here shows up a powerful time-traveling soldier from the future named Cable (Josh Brolin), on a hunt for Firefist. As you may recall, Brolin also played the supervillain Thanos in Avengers, a fact that doesn’t escape the notice of Deadpool himself. The CGI in DP2 is good but not perfect. While many of the action sequences are highly entertaining and look good, on occasion the cracks certainly show, especially during complex set pieces. The character that suffers the most is Colossus, looking rather low-budget in a few close ups. On the other hand, a big (pun not intended) fan-favourite Marvel villain who consumers of X-Men fiction had been desperate to see once again on the big screen makes his appearance here in a depiction that does justice to the character, thanks in part due to the special effects. He also engages in a fight at the end that’s pure fan service. Of course, the best battles are between Deadpool and Cable, especially when they do the impossible: bring dubstep back in style.